While no two projects or clients are exactly the same, the design and construction process for any project will progress through most, if not all, of the steps below. 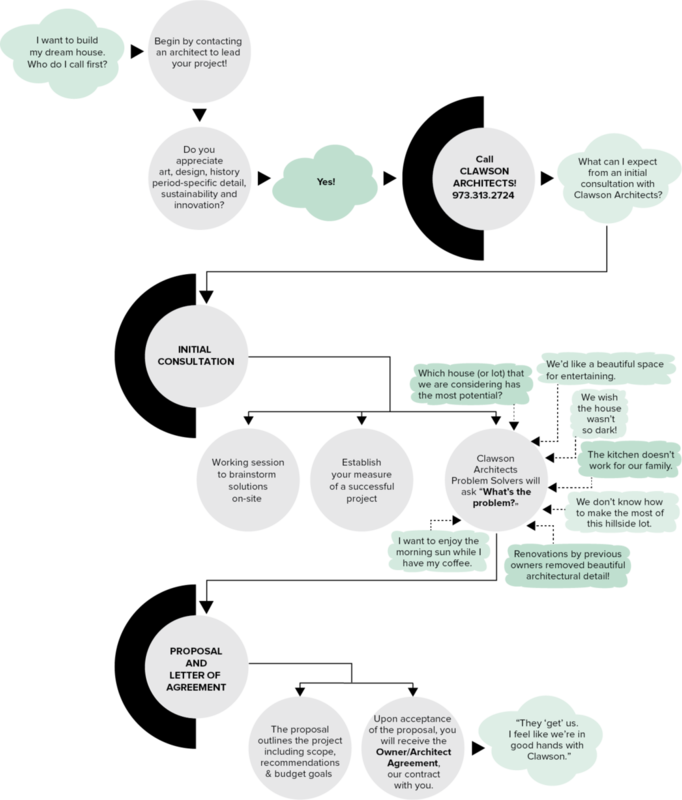 Here’s a graphical representation that gives an overview of our process. Printable version of our process.